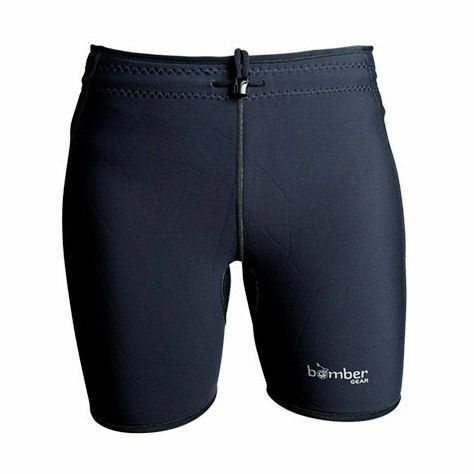 With an ergonomic Performance Cut and brushed lining, Bomber Gear's Hydrogen Neoprene Shorts deliver all-day paddling comfort.. . . . 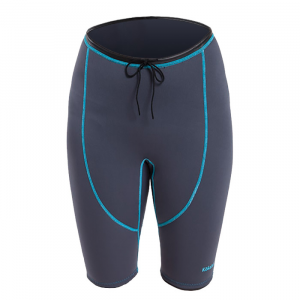 Warm, flexible premium 4-way SuperStretch 1 mm neoprene-conforms to the body, providing a snug fit without binding or constricting movement. 2 mm neoprene on the seat for abrasion-resistant durability. Brushed liner for wet or dry comfort against the skin. 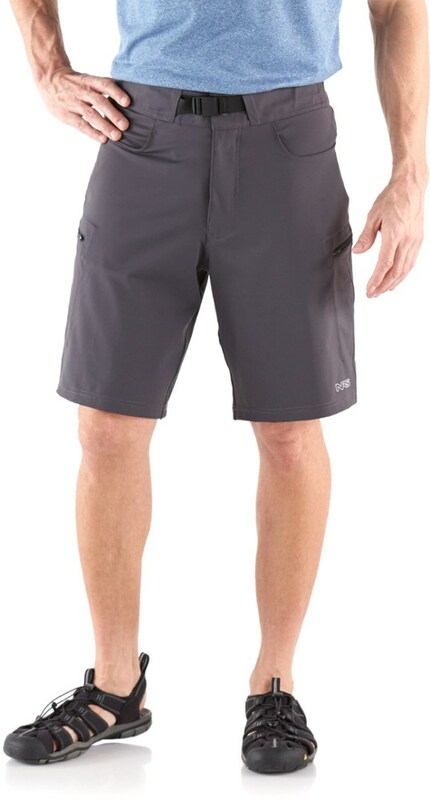 Ergonomic Performance Cut for superior comfort and fit with fewer seams for all-day comfort. Barrel-lock drawstring cord at the waist. 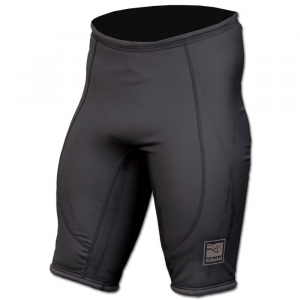 Flatlock seam construction for nonchafing comfort. Antimicrobial treatment for odor resistance. Reflective screen-printed logo. 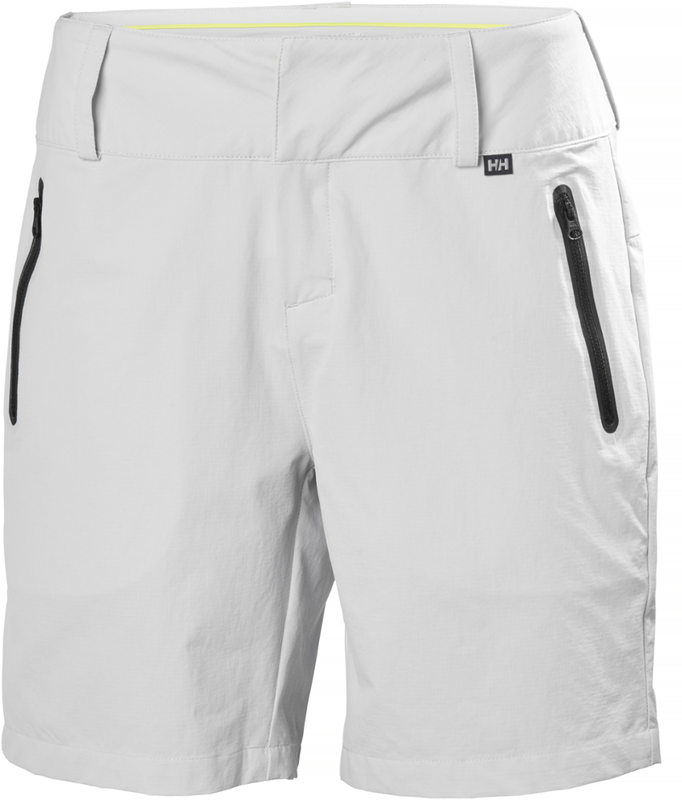 The Bomber Gear Hydrogen Neoprene Shorts is not available from the stores we monitor. It was last seen February 5, 2017	at EMS.